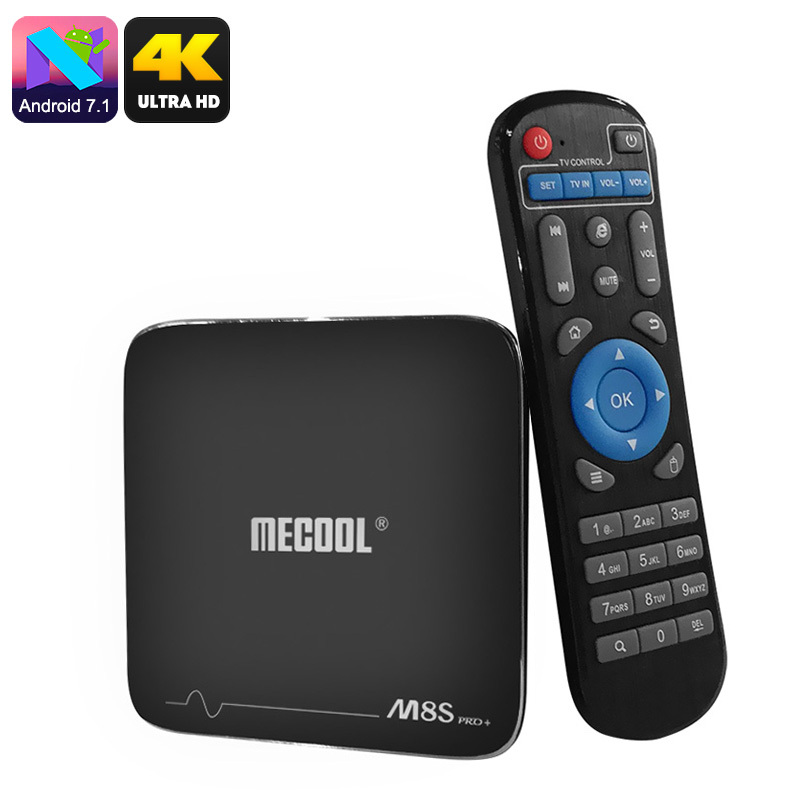 Successfully Added MECOOL M8S Pro Android TV Box - Android 7.1, Quad-Core CPU, 8GB ROM, 32GB SD Card Slot, 4K Support, WiFi, DLNA, Google Play to your Shopping Cart. The MECOOL M8S Pro Android TV Box offers you an affordable and easy way to turn your regular television into a full-blown Android smart TV. Simply connect this Android media player to your TV set, and you’ll be treated to hours’ worth of fun and entertainment. Thanks to its WiFi support, you’ll be able to browse the web and download media straight onto your TV. Therefore, you can play games, stream movies, and enjoy the latest Android Apps. With this Android media player in place, you and your family will never have to feel bored again. This Android TV Box runs on the Android 7.1 operating system. It lets you enjoy the latest software features that are currently available without encountering any lag. You will furthermore be treated to a sophisticated Quad-Core processor that has been clocked at 2GHz as well as 1GB RAM. This hardware provides you with enough power to tackle basic Apps and games without dropping a frame. To further increase your overall user experience, your Android TV box supports DLNA, Miracast, and Airplay. With the MECOOL M8S Pro TV Box, you’ll have free access to Google Play and Kodi 17.1. This provides you with an easy way to acquire the latest media, Apps, and games. You’ll have 8GB ROM and a 32GB SD card slot at your disposal. Therefore, you don’t have to worry about running out of storage space for all your files any time soon. With 4K media support, this TV box lets you watch the latest Ultra-HD films and series. This will truly enhance your media experience and treat you to a cinematic experience that can be enjoyed from your own living room. The MECOOL M8S Pro Android TV Box comes with a 12 months warranty, brought to you by the leader in electronic devices as well as wholesale Android media players..